Nova CM -160 multi-purpose machine with 6 machines in the same .This is an ideal multi-purpose machine when you have a limited premises but you want more machines. You shape ( planer and jointer ) and saw. Included shaper and long- hole drilling fasteners(drill chisel). 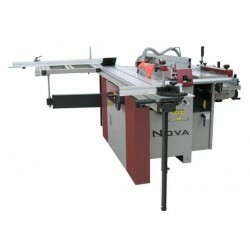 Nova 16 multi-purpose machine is the most versatile multi-purpose machine. 5 products in one. 3 different engines. Casted, large-size tables. Very good planing width in jointer– as in planer. Plate saw drawing blade and also the inclination of the saw blade, which is missing almost from all cheaper multi-purpose machines. Nova CM-800 is manufactured for very demanding and precise machining. There is enough power, 380V 3 powerful engines secure processing under all circumstances. 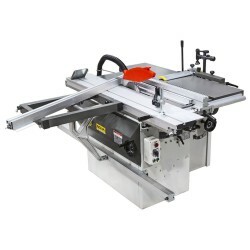 Very high quality sliding table top for sawing.